This compact, cost-effective model offers all basic functions for office communication needs. 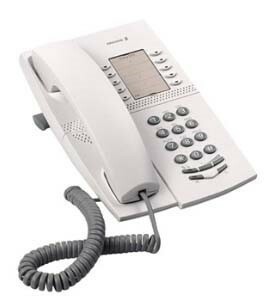 The Dialog 4220 Lite is especially designed for users who want traditional telephone functions with good voice quality. It is a robust convenient phone well-suited for visitor or service areas. Like all other Dialog 4000 phones, it can be wall-mounted and features a loudspeaker for voice monitoring.